Picture it: wide open plains of parched grasslands, it’s the dry season so the Serengeti is not teeming with the wildlife migrations it is famous for but instead its resident animals, zebra, lions, impala, cheetahs and more are locked in the never-ending battle for survival of winners and losers. Tourists flock to this place with their hired guides and open-top landcruisers driving, often exhausting, hundreds of kilometres a day, for days, turning this ancient land into an exhilarating, beautiful zoo. But it is a zoo without bars, boundaries and sanitised rules, where although the animals are used to cars they are still unpredictable and wild and, on one occasion, those tourists were witness to a lose-lose game of survival many would rather not have seen. “My favourite safari was in 2007,” says 34-year-old Rashid Mziray. 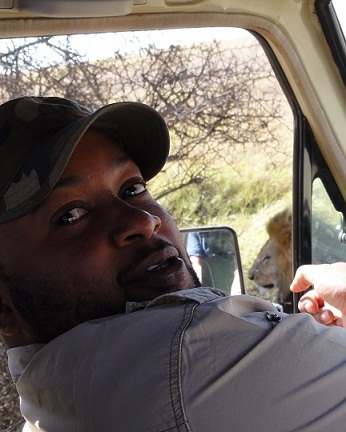 He is a driver-guide in the Serengeti region of Tanzania and when he begins his recount there is a definiteness in his voice which leaves no doubt that this one safari moment most obviously has surpassed the rest – including the four-day safari he has just taken me and my three friends on. “It was a six day safari taking in Lake Manyara, the Serengeti and the Ngorongoro Crater. When I was in the Serengeti we spotted a lioness with her cub under a tree. In the same tree, up in the branches was a female leopard, which also had a cub, and had killed an impala and pulled it up into the tree to eat. “The blood from the impala was trickling down the tree and the lioness was licking the blood and trying to climb the tree to get the impala but could not. She had only one cub and was obviously very hungry and she was moaning and moaning and the leopard was struggling to keep the impala up in the tree. “It was the high season in July and around 20 safari cars had gathered to watch the action and there was a lot of drama because people were wondering whether the leopard would lose the impala. You have to understand that the lioness was very hungry and looking for food because then, unfortunately, something unexpected happened – the leopard cub fell out of the tree and the lioness started to eat it. “The leopard was like lightning in a thunderstorm, in the time it took the lioness to catch and suffocate the leopard cub the leopard mother was out of the tree had caught the lion cub and was back in the tree. 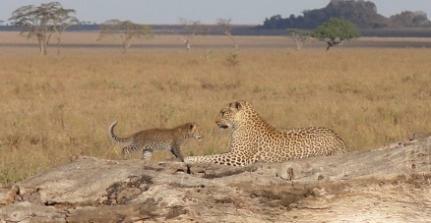 “The leopard killed the lion cub out of revenge – she didn’t eat it she just left it there. Rashid tells me that a lot of people, including his own clients were yelling and crying. And, despite nominating this dramatic animal moment as his best safari, he admits that when he was a six-year-old kid on the streets of Moshi it was not so much the animals of the Serengeti that attracted him but driving a big 4WD and talking with foreigners. He is still adamant that safari guides should be about more than the animals, that they should have a good understanding of the local culture, including the Massai culture, and that they should see themselves as ambassadors for Tanzania. This philosophy paid off during another six-day safari, also in 2007, when he was guiding two American doctors. A lot of their conversation centered on the Tanzanian health system. It turns out that these doctors were involved with an NGO which helped Latin American countries, Rashid helped perk their interest in expanding into Africa. While the doctors left they kept in touch and Rashid was left looking for a Tanzanian health organisation that would sponsor the American NGO’s entry to Tanzania. In 2009 he succeeded and now he takes time out from the safari guiding business every year to guide student medical volunteers of ISLonline.org around remote Tanzanian villages, where they conduct health clinics. Of course, at the end of their time, the student volunteers also get to be tourists. Having experienced the best and worst the safari world has to offer for six years now, with its predictable and unpredictable animals and its sometimes tame and sometimes wild tourists, I ask Rashid whether he prefers the animals or the people. As befits someone who works in tourism his answer is diplomatic: “I like both,” he says.